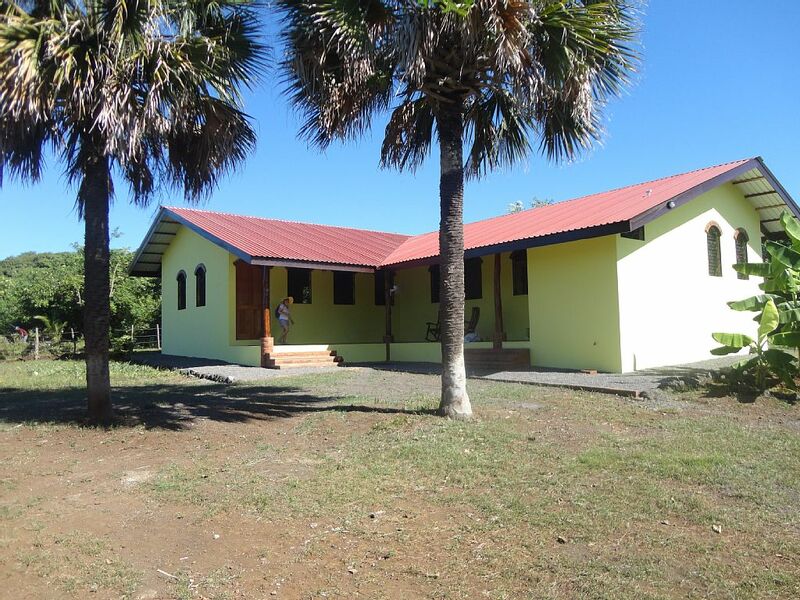 Casa Amarilla came about when frequent visitors Jacek and Ivona found their piece of land in the area and decided they want too build a house. They came to see our house and when they left they asked if I could build them one just like it. I thought they meant a nice solid house of yet-to-be-determined design. But no, they meany exactly the same. So, I did, but there ended up being a few modifications. I have to say after living in our house for over 2 years now, it is a great design. I adapted it for Nicaragua life from a Frank Lloyd Wright floor plan that I liked (see post on designing our house for details). They wanted 11′ instead of 10′ walls, a steeper roof pitch and we enlarged the office to be a complete bedroom with double doors. Some features of the kitchen and baths are customized and of course the colors and tiles are quite different. It took about a year from November 2014 till 2015 and came out great. Hi, I was wondering about your work crew, all local?, trained elsewhere?, educated?, insured? Was thinking that it might be nice to showcase them sometime, sort of introduce them, credit where credit is due…if you think they would like to be introduced to your growing fan club? Great idea, I will do that. The guys will be happy.